There are lots of spots where Bunka is felt! Guide will be announced except for beginner's course. 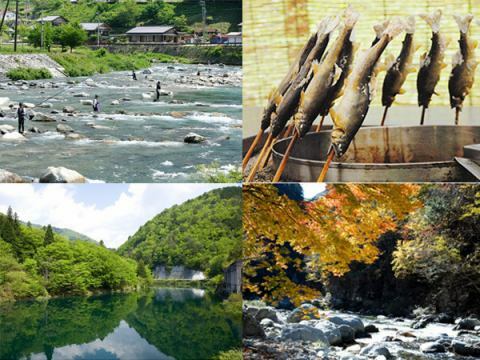 Maze grown on the Maze River, which flows from the center of Maze to the north and south, won the "Nationwide Ayu Fish Tasting Grand Prix" with excellent taste and aroma. That decision is still beautiful water and air.It is good to go out for a leisurely walk and enjoy the downstream as well as climbing climbing.By touching clear water, your body and mind will be healed. 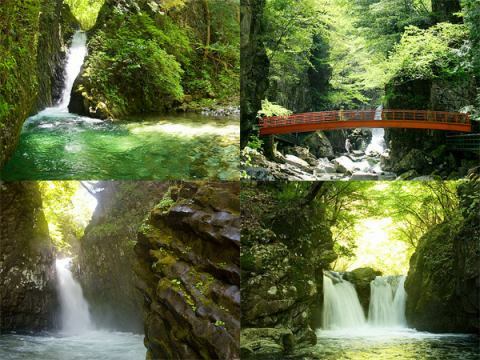 Blessed with rich nature and water, it has been selected as "Heisei's 100 famous water 100 Water Villages in Japan 100 Water Source's Forests in Japan, " "100 Water Villages in Japan 100 Water Source's Forests in Japan, " and "100 Water Source's Forests in Japan Heisei's 100 famous water". “Gandate,” a designated natural monument in Gifu Prefecture, is a fragment of Japan's largest lava flow made of lava from Otaki. 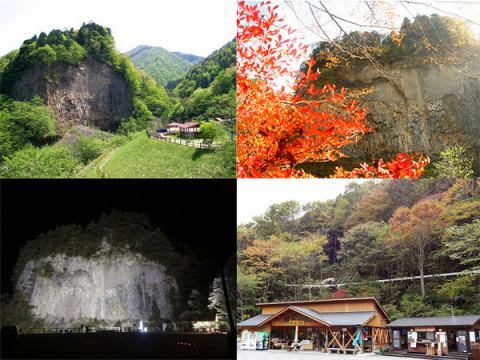 The column rocky rock wall with a height of 72 meters and a width of 120 meters, made by a large eruption about 54,000 years ago, is a masterpiece.In the surroundings, you can enjoy the fresh green of spring and the beautiful stroll of autumn leaves. The presence of Gandate views from directly in front, there is no other overwhelmed. As there are observation deck, shop, parking lot in "Gandate Park" on the opposite bank, you can feel free to stop by your own car. Gandate you've ever seen it, why not go for a tour of the surrounding waterfalls? A walk on the serger "Yunomachi Ujo Park"
Atanodani Valley you go up the Atanodani Valley, you will see people enjoying a walk along the river. The "Yunomachi Ujo Park" has pleasant Kawa-no-Seseragi views throughout the four seasons, and the park's promenade is a popular walk course. It is a healing space where you can relax and listen to the bird's voices while watching the rich natural scenery on the way to the hot springs. There are sho pu pond, waterfall, fountain etc. along the well-organized boardwalk, autumn brings autumn leaves, springs cherry blossoms, summer fresh green and complements the changing seasons.There are play equipment for children, too, so you can play water in the summer, so we recommend using with parents.Please extend your legs from Yamagataya and have a relaxing time. 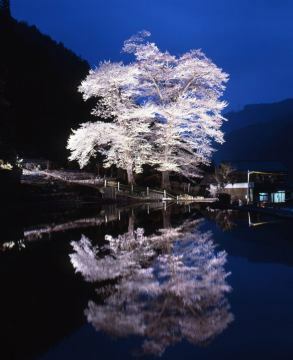 Gero Onsen calls "Mystical Duet" and lights up Naesyo Sakura delivered with confidence. The fantastic scenery spreads from 19 o'clock to 21 o'clock in the evening. "Nursery" is a rice field for making seedlings of rice.The origin of the name of Matsuri Sakura came from that the villagers were preparing for the seedlings waiting for the beautiful cherry blossoms to bloom.Therefore, the alias name attached is "Koyomi Sakura".It is also designated as Gifu Prefecture Designated Natural Monument, and it is overwhelmed by the stately style of two cherry trees of about 400 years old. Hidagawa Park is a large, multi-purpose park about 70,000 square meters that extends over the riverbed of the Masuda River River. When you go cherry blossom viewing, you will be amazed at the number of cherry blossoms in line.That number, 350 books.On sunny days the blue sky and green lawn, cherry pink is colorful.A lot of families visit, the voices of children who are energetically surrounded by cherry blossoms in full bloom, makes us more gorgeous. 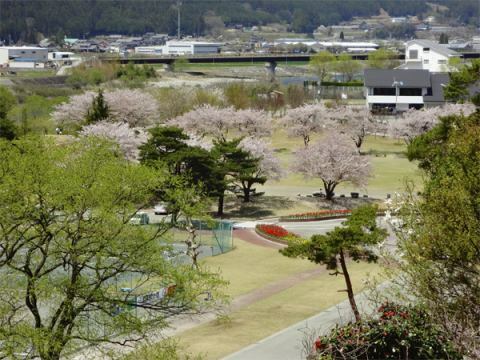 Hidagawa Park is a facility with ground golf course and cycling course approved by the Japan Ground Golf Association. Especially in early spring, popularity is gaining, because there is extensive lawn open space and you can enjoy sports in the scenery where cherry blossoms can be seen. 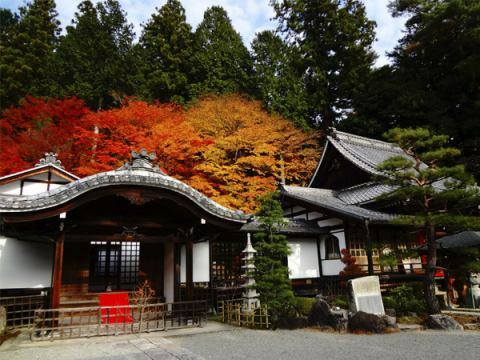 From the appearance that five types of maple with 100 or more colors vividly dye the precincts, it is known as "Momiji Temple" and has been popular. 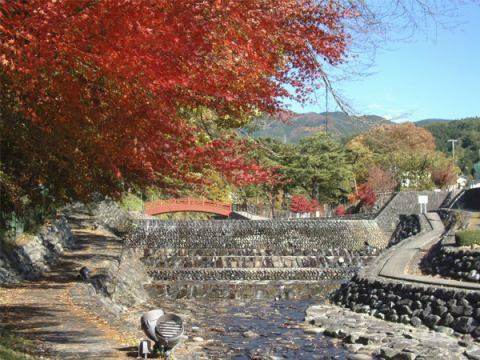 With colorful autumn leaves and fallen leaves, it seems that the whole temple is wrapped ... ....Gero Onsen famous autumn leaves landscape at Gero Onsen, a landmark of autumn leaves lined with hot Gero Onsen temple, many people visit and enjoy strolling every year. In Kanemori Kanemori's garden, a maple grafted from Kyoto decorates the garden and gives a color to the quiet atmosphere of the temple.Although it grew strongly but it grew big, autumn leaves created a clear contrast, and the scene is just overwhelming.A number of city-designated cultural properties are also preserved, such as the statue of Eshin Souzu Heian high Eshin Souzu “Eshin Souzu” and the precious left-handed oak tree. Within Sanbara, Gero City to Kanayamacho, it is formed of beautiful nature and natural rock of unique shape, and it is known as a scenic spot rich in scenery of the four seasons. 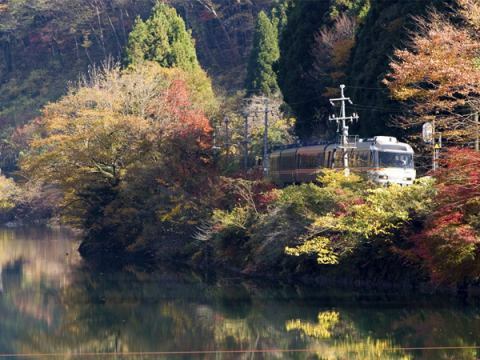 A wonderful place to enjoy the expressions of the mountains that change every season, such as autumn leaves in autumn, cherry blossoms in spring, fresh green in summer, it is ideal for slow drive course. 28 km from Obimo Bridge over Hida River to Sakai Bridge in Kanayamacho is designated as Hida Kisogawa Quasi‐National Park Kibitogawa Hida Kisogawa Quasi‐National Park. 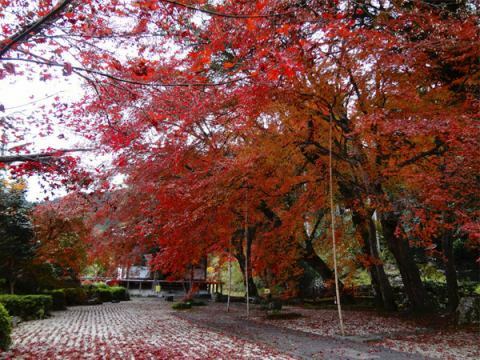 It is also perfect for the drive course of people coming from the other side, and it seems that autumn leaves emit brilliant color development than the urban area.Blessing rocks blooming between the rocks from spring to early summer are also worth seeing. 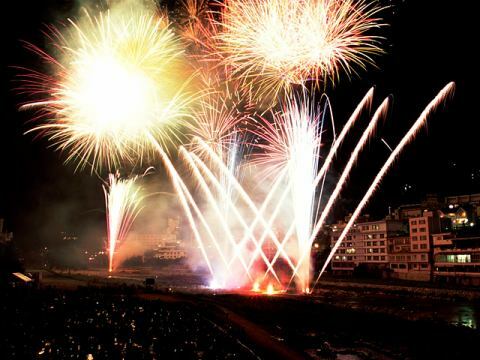 The Gero Onsen Fireworks Musical, which many people look forward to every year, is one of the representative events of Gero City. 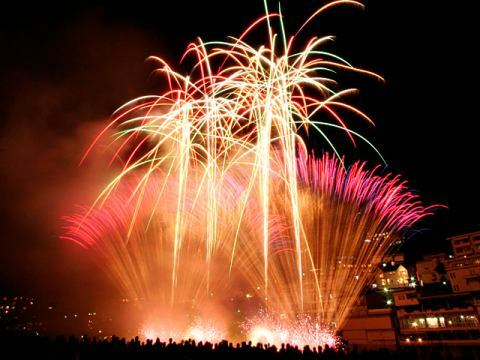 The fireworks that can be launched with good tempo along with various music will brighten Gero Town of Gero Town brightly and will make a special memory for you. A magnificent fireworks musical has "summer performances" and "winter performances".The summer performances celebrate the last day of the "Gero Onsen Festival" and the winter performances are held several times in December with the theme "Winter fireworks for lovers." Winter with family and friends in the summer performance, moist with the couple and cup in the winter performance, please spend a wonderful time. "Winter Gero Onsen Hanabi Monogatari" that colors the hot spring area with colorful light. In the clear winter air, the scenery which covered the white spot with white spots is screens in various places and the scenery reflecting the fireworks light is fantastic.Fireworks looking up from the Gero Onsen Town will be one piece of a tasteful journey. The secret of the popularity of the fireworks story is that the fireworks based on the seasonal event can be seen.For example, January is "Hellspring" or "Adult ceremony". "Setsubun" or "Valentine" in February. "White day" and "departure" in March.Every time different production, the crush of the journey is increasing more and more. 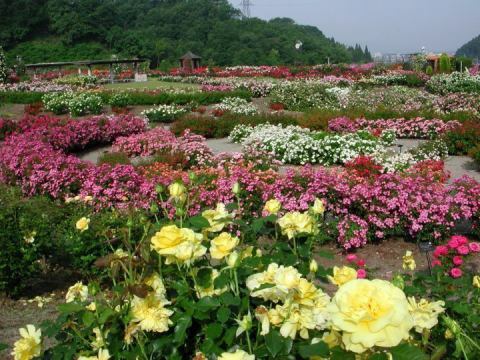 In addition, there are various facilities such as "Flower Museum", "World Flowers Greenhouse", "Flower tower" with a height of 45 meters that can overlook the inside of the park, and an outdoor event hall. "Flower theme park" that you can enjoy from adults to children. 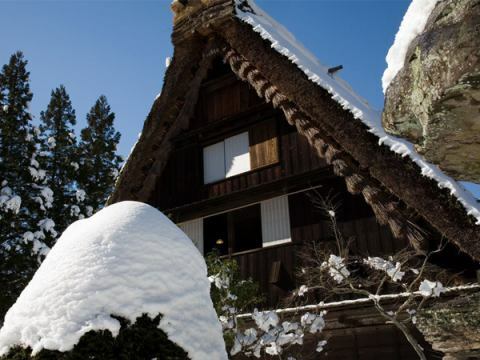 "Village of Kanpo" is crowded with people who were invited by old-fashioned nostalgia.Shirakawa-go village has been reproduced in 10 units of built-in giraffes, centering on the “Former Residence of Oto Family”, a country-designated important tangible folk cultural property rebuilt from Shirakawa-go. In the village various mountain grasses bloom every season, especially the winter, the scenery where the snow will fall without the sound on the thatched roof is exceptional.In the folk museum which displays agricultural tools and folk implements, you can feel the life Bunka of the ruling colony as close as possible. In addition, we also recommend handicraft experiences such as "Misa Potteries" which can be painted on various ceramics, "Kakurakura" where drawing can be done with Japanese paper. 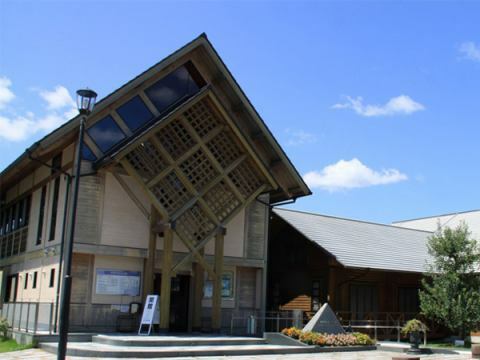 Gero Furusato History Memorial Museum is a facility that adults and children can enjoy, from the ancient times to the present of the Hida Region. In addition to a memorial hall in the premises, there are also parks and storage halls, which are popular as comprehensive museums.You will feel a fresh surprise if you see the history after knowing history. 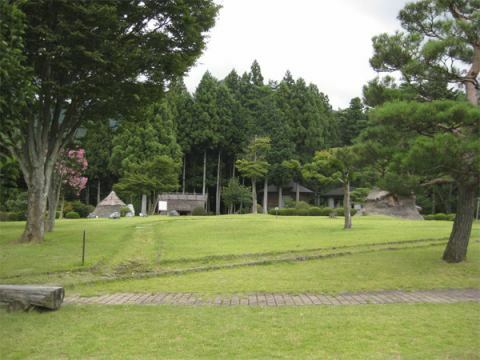 In the memorial, you can Jomon Experience of making miniature pottery and jade balls. The three course to choose Miniature Jomon pottery making Ancient accessories making, Jomon soil products making Please fully enjoy your experience! Old buildings are lining up, and the gorgeous Gero Onsen Town.The temple you want to visit in plenty of places of interest is the "hot spring temple" familiar from long ago.Its history is old, it was erected in Hirofumi 11 years (1671).There are still a lot of ema that the spa medical guests of the Edo (time period) era paid for the main hall, and we still have a crowd from that time. The calm view of the spa town, which can be seen from the climbing 173 stone steps, is healed. The autumn leaves light up around the hot spring temple which is held every year.Please enjoy the bright autumn colors reflected in the dark night.During the period, "Momiji footbath" is specially set up, you can see the autumn leaves while healing the cold. It seems like a lot of huge rocks exceeding 10 meters are gathered.Here, the “Kanayama Megaliths” is a generic name for “Iwaya Iwakage Ruins Megaliths, ” “Megaliths with engraved stone, ” and “Higashi no Yama Megaliths.” Despite being made in the Jomon period, it is said that it has the function to accurately measure time as a solar calendar. 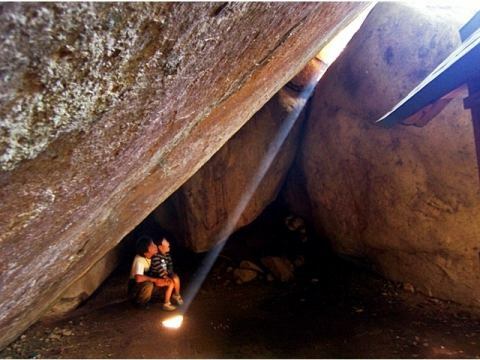 The Kanayama Megaliths are considered to be the oldest remains in the world, as earthenware and stoneware about 8,000 years ago were discovered during excavations around the area, and are also known as the strongest power spots. We also helped with very high accuracy, the first archaeological astronomical survey conducted in Japan. How about touching the wisdom of ancient people and thinking back to the past? The Kuzu Hachimangu Shrine, which is quietly aired, does not seem to be right next to the national highway. 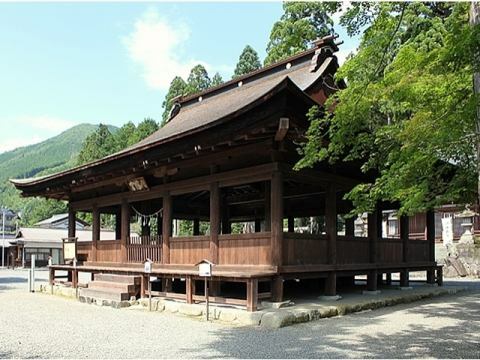 It is said that it was founded about 1,600 years ago, and it gathers faith widely as "Hida’s Ninomiya Shrine". Both the main hall and the honor residence are designated as important cultural assets of the country, and the representative architectural style of the medieval is conveyed to the present age. A big couple here.Yuugi near the main shrine is called Yuugi, and the one closest to the shrine is called a female cedar, aged over 1, 200 years.The tree is around 12.5 meters, both of which are designated as a natural monument of the country. Chiune Sugihara took a humanitarian position and issued a visa to pass through Japan to approximately 6,000 Jewish refugees and saved precious lives. The The Chiune Sugihara Memorial Hall is a facility that honors its achievements. The building is constructed with a traditional construction using wood from Gifu, and expresses the Bunka differences between the land of the estranged land Lithuania and the birthplace of Yaotsu, and softly envelops the sacred virtues of Chii beyond space and time. Not only his own exhibits, but also the “Visas for Life,” in which the Jews who escaped from the Nazi Germany, say “important to Visas for Life, ” are displayed in the “The Chiune Sugihara Memorial Hall”. By "Visas for Life" issued by Chikabo, the trajectories of the lives of those who saved "Jew's Footprints" are lithographed. How about thinking about life and peace in this memorial that stands on a rich natural place where Chiune Sugihara was born and raised. 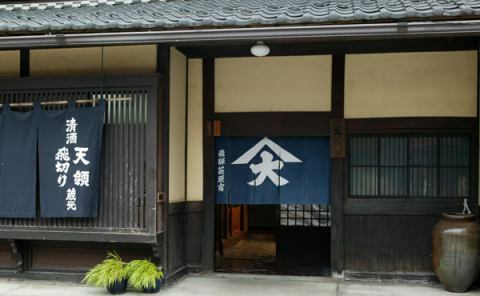 Experiment & experience at Gerohatsu Onsen Museum! 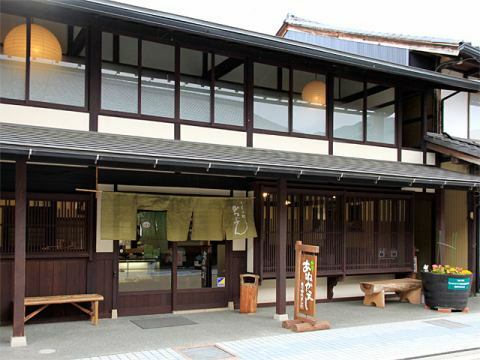 "Gerohatsu Onsen Museum" which introduces Gerohatsu Onsen Museum from both sides of science and Bunka. It is a hot spring that is usually casually entered, but if you go here, you may be able to solve the question "Why it is cloudy?" "Why is it warm? "It is a museum where children and adults can enjoy learning with easy-to-understand exhibitions and experimental sections. Inside the facility, interesting materials such as hot springs' springing mechanism, spring quality and efficacy, hot spring discovery legends and hot springs numbering are displayed.You may be able to know the secret of a hot spring you did not know until then. 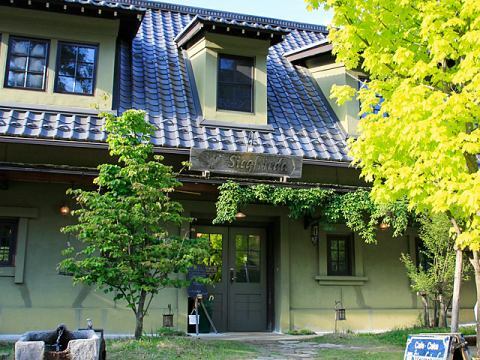 Dignified clear air, a tank lined up in order.In that, quietly fermented mash, a refreshing taste of sake is made.Here, “Tenryou Brewery” is passionate about rice and water, and Mr. Aoi brews sake and shochu with the soul. 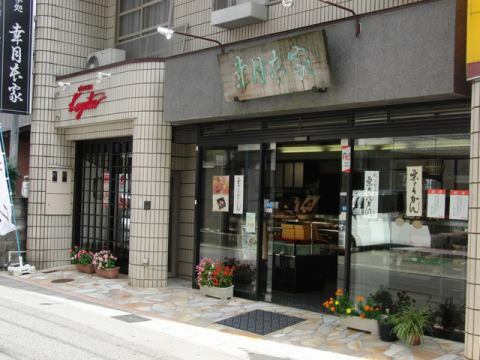 It is a long-established store familiar to citizens since the Edo (time period) period. 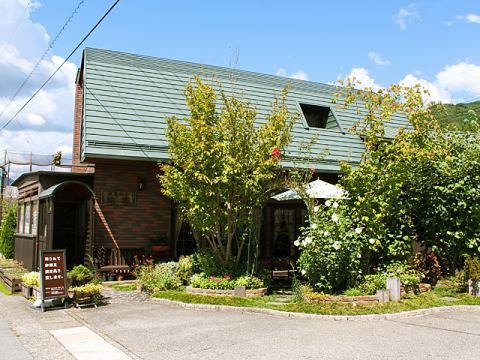 We are going to visit the sake store all year round, so how about going there? 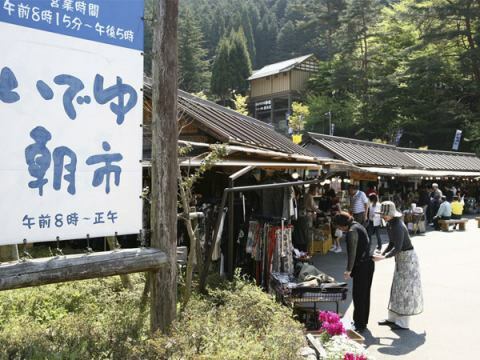 The "Ideyu Morning Market" held near the entrance of "Gero Onsen Gasshomura Village" opened with special products from local people and opened in Heisei (time period). Although the scale is small, the whole city is full of vigor.On the opening day, people looking for bargains and special products sold directly from the production area, people who enjoy shopping gather from inside and outside the town. It is one of enjoyment not to mention shopping, chatting with locals as well.You may also be able to hear "profitable information" that you will notice after talking on the site.Gero everyone in Gero sells goods with their own hands, we can meet the special products of "Gero inn" that can not be found in ordinary souvenir shops! Yamagataya, take National Route 41 Yamagataya about 10 minutes to Takayama. 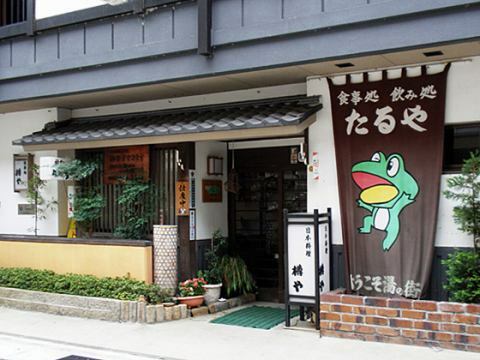 There is a rare coffee specialty store "Midori-no-yakata" around here. In antique atmosphere shops, items of timepieces such as timepiece clocks, musical instruments, speakers etc. are displayed. Coffee menus are so many that they are at a loss as to choosing, some of them have been offered to the Emperor! , Using all coffee beans that have been roasted autogeneously, they fill in a cup full of cups.In addition, there are abundant menus such as tea and soft drinks.Pan menu is also popular, especially "Ring Toast" is very popular.The contents of a round bread is hollowed out, and various toasts enter there.Because the amount is large, it is recommended to eat by two people! 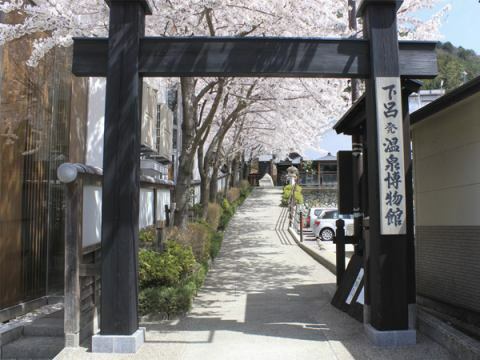 Hagiwara shopping street “Katsubun” located in Katsubun Hagiwara shopping street offers traditional Japanese-made sweets. In spring, “Anekaeshi” in summer “Ume no Tsuyu” in autumn “Kurikinton” in autumn “Goma Daifuku (mochi sweets with sesame)” such as “Goma Daifuku (mochi sweets with sesame)” in winter, Japanese sweets from all seasons enjoy your eyes and tongue. In addition, "Osuwasama Monaka (wafer cake filled with red bean paste)" in the form of the local Suwa Shrine is also recommended. One of the most popular among these is the spring-only “Anekaeshi”. "Aneru" means "Koneru (means turning over)" in the dialect of Hida. It is said that "Anete Kaesu (knead and turn over)" from "Anekaeshi Anete Kaesu (knead and turn over)" over and over again. This sweet flavorful rich with seasonal worms is a limited-time product only for May and June, every year with reservations and guests flooded! Please, try to eat too. Atmosphere that we used wood abundantly, calm atmosphere.As fresh seafood selected carefully by chief chefs and mountain favorites in Hida Region are purchased, you can enjoy dishes that incorporate them abundantly every day.That taste is surprised to everyone that "You can eat such fresh and delicious sashimi at Gero Onsen". The great general "Yotchan" is a lot of talk, and you can enjoy talking on the counter! There are also halls available in the shop, in addition to counter seats, box seats, groups. 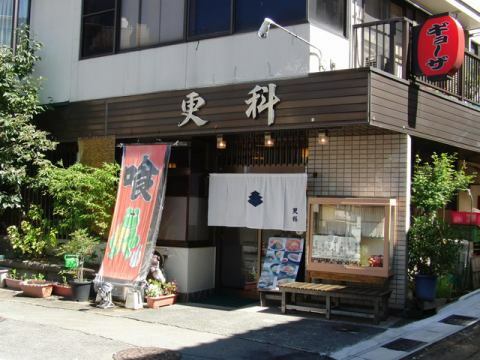 Going from Yamagataya to the hot spring town, you will find a sofa shop soon.It is an at home shop that you can use widely and easily, even for a single person or a group.The menu is rich in variety, including ramen, noodles, bowls and dishes. Especially recommended is fried chicken.Outside is juicy and inside is juicy so please bring deep-fried, special sauce soy sauce.If you eat this one surely will become addictive! , "Famous B-grade gourmet" chicken don bowl "and home-made dumplings are also delicious. A traditional Japanese confectionary shop and a Western-style confectionery shop where a cake shop with cute cakes and baked goods abundant became one.In a shop where a friendly and energetic service manager picks you up, there are beautiful colorful sweets that match the season.The eye should be robbed instantly. Especially the best is "Nama Dora". It is Dorayaki which wrapped a cream that mixes grain and cream with soft leather.The balance of cream and skin is exquisite, it is too sweet to eat any number.Kurikinton are "autumn taste" in which Kurikinton are mixed with cream, and one with green tea cream on the side, etc., check out the Nama Dora only for the season!